It’s well known the American singer, songwriter and actress Ariana Grande is a fan of the Nintendo Switch. She’s already performed in a Nintendo Labo music clip with Jimmy Fallon and last November made headlines thanks to her online troubles with Mario Kart 8 Deluxe. In terms of how her experience with Nintendo's new hybrid platform has been going in recent times, it's all rosy. 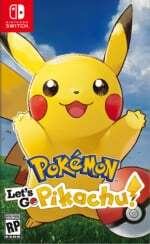 She recently revealed her love of the new Switch game Pokémon: Let’s Go, Pikachu! and Let’s Go, Eevee! when asked by a fan what titles she had been playing on the system. If her 15-hour play session wasn't convincing enough, she posted a picture via Snapchat of her new tattoo featuring the one and only Eevee (see above). It's a classic black-and-white take on the Pocket Monster from the first generation and surely proves that Grande is a top-tier fan. Are you still playing Let’s Go like Ariana is? Are you a fan of her music? Or would you rather not say? Tell us below. And she didn't even have to ask twitter how to get it? I don't really pay attention to her music but it's a cute tattoo! So we should care she plays Pokémon because she is a celebrity. I would have suggested either Muk or Weezing. Okay, who will have a Pikachu tatoo as contender ? Um, the grammar and capitalization struggle is real here. This is why I don't follow celebrities. Really well done tattoo. I personally wouldn't get a fictional character tattooed on me. But props to her and to the artist who did it. Its really good. Ah well, always nice for Nintendo to have some free advertisements. They gave Eevee bangs and turned her into the Dangerous Woman, this was the natural next step. @rjejr So it took a tattoo for them to get interested in the story. So I'm starting to figure them out, humm! "NEWS JUST IN. Human with interest in Pokemon gets Pokemon tattoo." Sign of a slow news day. Shame it wasn't on her bum! @GauBan it's a popular culture reference and therefore we cover it, it's not because it's a "slow news day". When her agent realises that she'll have to pay royalties every time she is seen in public with that thing on her arm, she'll have it removed and then pledge her allegiance (via tattoo) to Imagine Babyz 2: Potty Party. Well, I sort of liked the Labo stuff she did on Jimmy Fallon and she likes Nintendo. She seems like a good artist and person. @BigMac1204 It's twitter not a masters thesis get a grip. That's adorable. Looks much better than many other tats I've seen. @Arcamenel I understand but it's social media and people see it and it can give you a bad rep. If it were Discord or something where you can't take your sweet time I would excuse bad grammar because it doesn't matter there. This is social media where it DOES matter, though, and even more so because she is super famous. @CharlieSmile did I sound like I was mad? I'm sorry, I was trying to act calm. It really is not big deal - all I was saying was that Ariana Grande should at least TRY to look decent on Twitter since she's famous, but whatever it doesn't matter anyway. This just in: people get salty over unimportant things. More at 10. @BigMac1204 Only people it matters to are grammar Nazi's. i put pokemon tattoos on when i was 9 years old and they were temporary ones, but this is a real tattoo that will last forever. Love Ari and love her passion for Nintendo! Further proof that Eevee is cuter than Pikachu in my book. They're both likeable to be sure, but I have a soft spot for fox-like designs. @BigMac1204 Nintendolife does the same with every new Article that's on here. All caps, no periods or commas ever. @Arcamenel @Kidfunkadelic83 God forbid someone wants to read a coherent sentence. @MsJubilee unfortunately some people are not gifted with great grammar. Maybe due to a disability etc. I'm certainly not! Its not really that hard to use your brain and work out what someone is trying to write. @Delibheel what no Big Ben bongs? I'm sure that is bong worthy. Getting a tattoo is not a measurement of how much of a fan you are of something. @Sandman83 hi sandman 83 I’m sandman 89. @Spoony_Tech I think the tattoo was just an excuse to cover the tweet now that she posted 3 days ago while they were busy covering grandma. Though it's also possible I'm overly cynical. But lets not lose site of what really matters, I made this tweet 3 days ago. 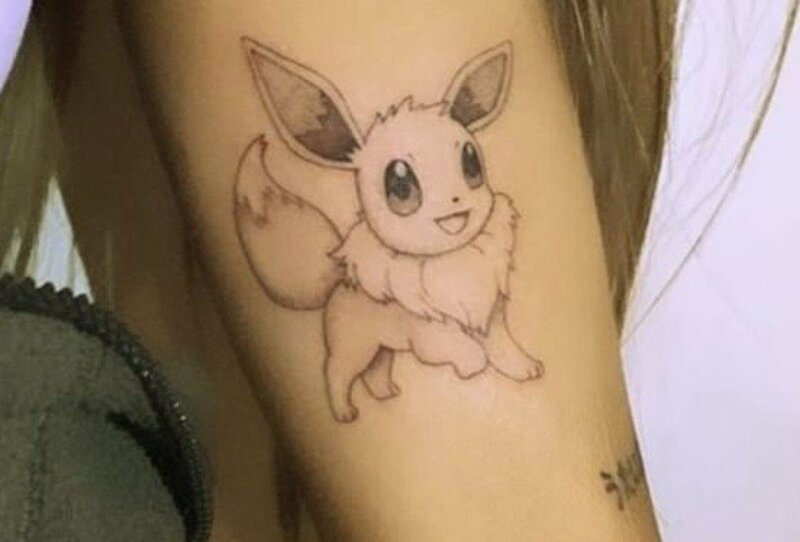 @Neram Sure, anyone can get a tattoo, but only a Pokemon fan would permanently emblazen Eevee onto their skin. And that was after she said she played Let's Go for 15 hours straight. I think it's pretty clear she likes the series lol. Hard to tell if good person or not. Fifteen hours straight? Maybe she actually blacked out and woke up with the tattoo. I think the last time I binged a game like that would have been Secret of Mana. My brother and I had it rented for a weekend and we were determined to finish it. Almost darn near killed us but we did it. That Saturday night when we went to bed we both felt like we hardly slept and just dreamed of flying Flammie over a mode seven map trying to figure out where to go next. It really messed with us. My wife told me getting Paper Mario tattooed on my side would be ridiculous and yet when she saw this she couldnt help but love it. I really dont understand this world sometimes. Honestly, she didn't really play it for 15 hours. When she becomes Grandma Grande, she can show that tattoo to her grandkids. They will go: "Grandma that's so retro! We read about Eevee in our history book." I don't follow celebrities much in general, but Ariana's really popular, and that tattoo is fairly obviously pokemon (i.e. it can't be mistaken as something else, really). So, that's pretty intense. I wonder, if she can't easily hide it, whether it would affect other people's decisions to hire/cast her. She also has a Chihiro tattoo from Spirited Away. She's a bonafide nerd. @MsJubilee If you couldn't understand it that's your problem. I'm pretty sure all the people liking and retweeting knew exactly what she meant. @Kidfunkadelic83 It's also not hard to type properly, isnt that basic education? @Arcamenel Anyone can read and understand gibberish if they turn off their brain. But i can't do that, i don't expect a well written essay. But i expect some level of intelligence when someone types a tweet or a comment for the whole world to see. @gokev13 to be fair to you tho I can't think of many a greater game to binge to tho. What a magical piece of retro gaming 👌. @MsJubilee That makes no sense. If I'm able to understand what she's saying that would mean I have better deductive reasoning than the average person, not less. Just say you don't care for her/like her and move on. Attacking someone's intelligence just makes you look like a knob. I can understand your intention in context, but it takes deciphering since you didn't punctuate. "[period] It's what, basic"-> You said this with the meaning of "It is what? It is basic education." But it reads like "It is what basic education should be/ what basic education is/ what basic education etc." Proper grammar, Mla/cmos standards, aren't needed for internet comments, but punctuation, even excessively, simply for pacing and clarity, is appreciated. So long as the meaning can be understood on the first pass. @J_C I thank you for correcting my reply. @Antraxx777 Sounds like she was mostly joking around. Think licking doughnuts isn't that bad. Besides she's a public figure so she will most like get some heat from the media from time to time weather she deserves it or not.